Mid Atlantic Chiropractic Center always appreciates feedback from our valued patients. To date, we’re thrilled to have collected 59 reviews with an average rating of 4.88 out of 5 stars. Please read what others are saying about Mid Atlantic Chiropractic Center below, and as always, we would love to collect your feedback. Very grateful for the gift Dr. Rashidian has for working with my scoliosis and relieving my pain. I was a bit skeptical at first but after only 2 adjustments under my belt I can already feel a huge difference on how my back and neck feels! My symptoms have gone away but I am staying with adjusting forever! I've been a patient for almost a decade now and was recently advised to try infrared treatment for tmj related ear fluid. I was sceptical at first but but after 6 treatments I can no longer feel the fluid move in my ear. I highly recommend this new treatment to others. 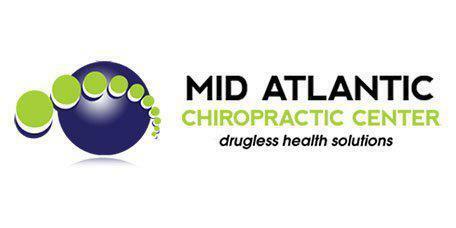 Dr. Rashidian and all the staff at Mid Atlantic Chiropractor are very friendly and caring. I have had a lot going on in my life during the time that Ive been going to Dr Rashidian, and they are always ready with a hug. The adjustments I have received have eased a lot of the stress and allowed me to deal with everything successfully. Convenient scheduling, minimal (if any) waiting room time and doctors who are personable as well as knowledgeable and thorough. Professional and full of advice and answers to my questions. The staff and doctors are always friendly and knowledgeable. I always feel much better when I leave Dr. Rashidian's office. Excellent service as always. Caring and thorough. Excellent. Wonderful. Dr. Amir was both personal & professional! I was pleasantly surprised at how nice everything and everyone was. it was very educational ! Dr. Nicole was professional, personable and excellent in her adjustments! As always, pleasant staff, no wait, and left feeling great! Wow your practice continues to delight and amaze me. For just one small example. Today I picked up my foot levelers which were custom made for me and was assisted by Kadi as proper placement in the shoes as well as break in period. After putting them in and walking to my adjustment there was a different feeling as the insert was trying to correct the pressure on my feet due to my hip,spine and knee misalignment. After relaying this information to Dr Roberto he adjusted my back and hips and wa la everything with the new inserts felt completely natural and very comfortable. I know as time passes and with continued adjustment this journey will continue to a very significant reduction in my pain and discomfort as has already been demonstrated in my experience with this practice. Now but by no means least as I was sitting awaiting for my fiancee to complete her adjustment in walks Dr Amir. To make the story short the good doctor listen to my demise with ragweed this season. He said don't leave and he returned not 5 minutes later with 2 supplements for me to take with instructions. Now 7 hours later and I feel 90% better. So goes my experience each and every time at the Mid Atlantic Chiropractic Center. Thank you so very much for your care giving!!! I'm always delighted that the highly skilled MAC physicians listen so well! I always have less pain or feel better after a visit! Great care! At The Mid Atlantic Clinic of Chiropractic, we take great pride in providing the finest chiropractic wellness care to our patients. Below is a sampling of the different chiropractic services we offer in our Frederick office. We provide advanced spinal correction utilizing state of the art chiropractic techniques. Never in the history of chiropractic have we been able to provide the level of help and expertise that now exists. These newer correction methods are even safer, more comfortable and more effective than ever before. Our doctors have years of training and experience in spinal adjustment. We teach our patients special “blueprint” exercises designed just for them to help strengthen and correct their own unique problem. These exercises can be performed in the comfort of your own home and can improve the effectiveness of your spinal correction by as much as 30-40%. In addition to skeletal misalignment, muscles, and connective tissues can be out of place or strained by improper alignment and use. Specific exercises and stretches can help your body stay in balance and in health. We often find it helpful to “coach” our patients on certain activities they should avoid or do differently to avoid aggravating their particular health challenge. Our goal is to help every patient achieve a fulfilling and happy lifestyle full of the activities they enjoy most. We recognize that each patient is a whole person, and helping them reach true health and wellness is a collaborative effort between our professionals and our patients. We provide specific recommendations on nutritional supplements and healthy food choices to enhance our patient´s return to optimal health. Do you know which supplements and vitamins are good for you? Dr. Amir Rashidian can provide a structured nutritional program based on your individual needs. Cox® Technic is a spinal manipulation that relieves back pain, leg pain, neck pain, arm pain, and a host of other spinal related conditions…disc herniation, spinal stenosis, post-surgical continued pain, and pregnancy-related back pain. Cox Technic is non-surgical, doctor-controlled, hands-on spinal manipulation performed with the patient lying on The Cox Table, a proprietary, specially designed chiropractic instrument. This table permits the effective administration of flexion-distraction and decompression adjustment and manipulation. Posture and spinal screenings can reveal important health information and unlock the door to improved health and well-being. We provide detailed and comprehensive screenings at our office. Contact us today to arrange a screening for yourself and your family members. More and more women are discovering the many benefits associated with chiropractic care in pregnancy. The most common complaint for which women seek chiropractic care during pregnancy is for low back pain. In addition to back pain relief, pregnant women are finding that chiropractic benefits a host of other conditions as well. Our doctor’s approach to treating your sports injuries is rooted in this simple philosophy: treat both the symptoms and the problem. Our goal with every patient is to improve their health from the inside out. Lifestyle Counseling- is a natural complement to Chiropractic adjustments and other traditional treatments, and can make a significant difference for your overall health. Lifestyle changes may help prevent sports injuries from happening and flaring up again. Chiropractic Adjustments- Chiropractic adjustments relieve pressure on the nervous system, promote spinal health and improve overall health. These adjustments are especially beneficial for providing back pain relief and managing chronic pain. Veterans face physical, chemical, and emotional stress unique to their profession. Veterans at Mid Atlantic Chiropractic Center are entitled to a special discount as a way of saying thanks for your service in keeping our country safe. Dr. Amir’s approach to treatment is rooted in this simple philosophy: treat both the symptoms and the problem. While medications help reduce the pain, they do not treat or get rid of the underlying cause of pain. Chiropractic care is an effective treatment because it realigns the body to fix the problem. Lifestyle Counseling- is a natural complement to Chiropractic adjustments and other traditional treatments, and can make a significant difference for your overall health. Lifestyle changes may help control the signs and symptoms associated with your injuries. Chiropractic Adjustments- Chiropractic adjustments relieve pressure on the nervous system, promote spinal health and improve overall health. These adjustments are especially beneficial for providing back pain relief and managing chronic pain caused by spinal misalignments.